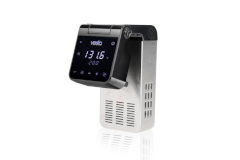 Vesta Precision temperature appliances are designed with unique insights gained from years of experience. Smart and innovative, Vesta Precision sous vide and vacuum sealers are user-friendly and affordable for both family and commercial kitchens. 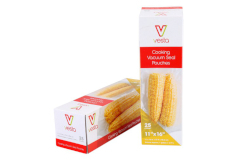 Vesta's complementary line of vacuum pouches and rolls offers the widest range of options available in designs, materials, patterns, and sizes. 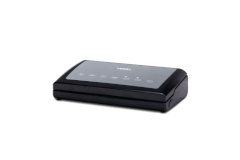 With Vesta, quality, choice, and convenience make all the difference. 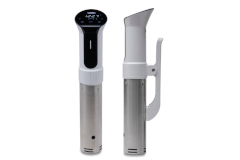 Sous Vide is a culinary technique in which food is vacuum-sealed and cooked in a water bath at a consistent low temperature for an extended period of time. 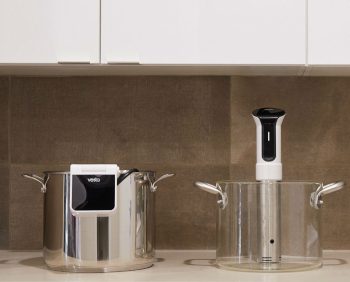 Ideal for families with busy schedules and health-conscious lifestyles, sous vide cooking delivers easy meal solutions that make dinnertime virtually foolproof.